Capable of producing an amazing Full HD resolution with up to 3,000 lumens, your images remain crystal clear even for large projections. 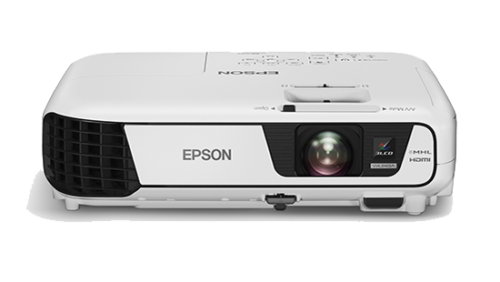 The Epson EB-W04 is a mid-level projector offering a good widescreen resolution that you see 30% more image than a standard XGA resolution and is packed with plenty of features and specifications making it a great choice for the office presentation use and good for schools. 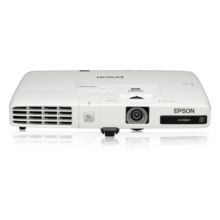 Epson have a great warranty for education users. The widescreen WXGA resolution is suitable for most things from basic data to movies and you will get a sharp image every time. You will be able to connect to everyday laptops, Macs and Ipads. With a brightness of 3000 lumens, you will be able to project with the lights on and blinds open to a medium to large audience. The high contrast ratio will make the darker areas more defined. 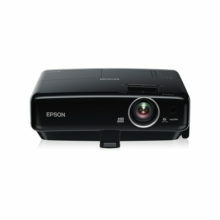 Epson projectors are always LCD and that means that the colour accuracy is spot on. This is great for photographs. The EB-W04 is HD Ready and also comes with VGA and the 3 in 1 USB port which allows you to display an image, sound and mouse control through one USB cable. You can also present PC-free with a USB stick. Show your content in high definition by using HDMI. 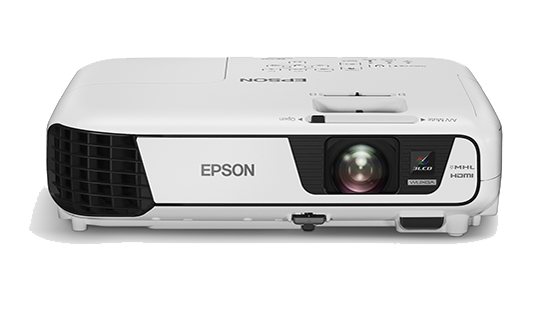 The Epson EB-W04 projector is easy to set up as any key stoning is dealt without any hassle. This projector does have a speaker but it is only 1W which means that you could use it for an audience size of 10 people but if your audience size is larger then you are going to need to have some extra speakers. 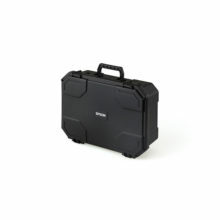 If you are a mobile user, it can easily be carried around as it is only 2.4KGs and comes with a carry case. 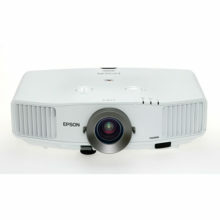 Overall, this is a great business projector with the necessary modern features. Check out the PDF to the left for more information.